Best or Better? Which is better? 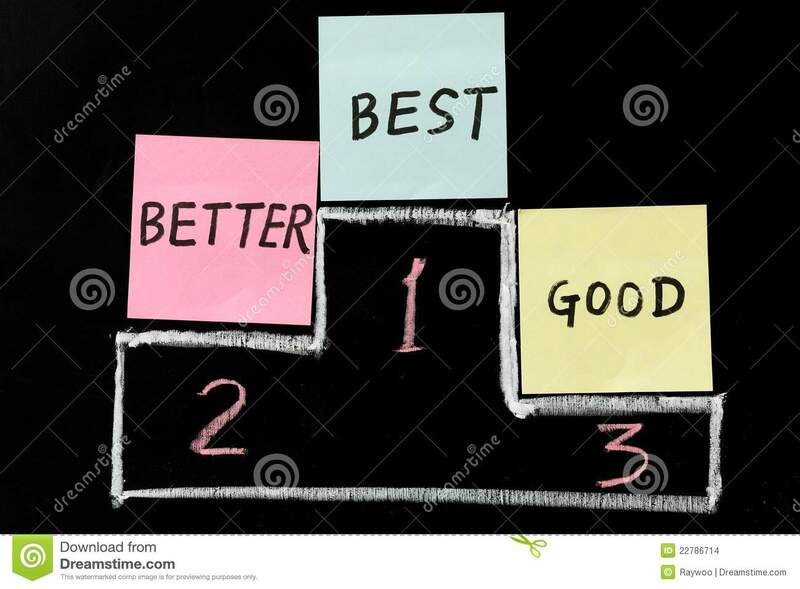 Years ago when I was working in the TQM or Total Quality Management consulting profession, we used to say that the “Best was the enemy of the Better.” I am not sure who this saying originated with, but the meaning was very clear. 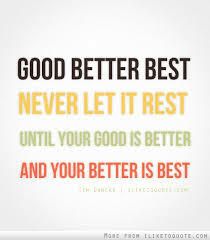 When you think you are the “Best” you have little or no motivation to be even better. Remember the Avis ad “We try harder because we are number two.” The “King of the Hill” has only one place to go and that is down. All champions know that their tenure is short lived. It does not matter whether it is chess, motorcycle racing or the world of Hollywood stardom; those who are on top today, will soon be displaced by someone who is better, smarter, faster or more talented tomorrow. A number of years ago, I went to a Masters Swim meet. The winner in the Men’s 100 meter Freestyle division was 60 years old. They announced his winning time along with the following interesting fact. Forty years earlier, he had been captain of the Yale swim team and his time in the 100 meter freestyle was a national collegiate record. The time that he swam the 100 meter freestyle in at the master’s event was the same time as his collegiate record. He was still swimming as fast as he did forty years earlier. Nevertheless, his time in today’s event would not even quality as a high school record anyplace in the world. Times change, progress marches on. Athletes are younger, bigger, faster and smarter than years ago. Ironically, so are chess players. Look at the records of the world’s top chess players, and you will see a pattern of increasingly younger players attaining Grandmaster status. Ameren’s mission is to generate electricity, deliver electricity and distribute natural gas in a safe, reliable, efficient and environmentally sound manner. Our vision is to be the recognized performance leader of the U.S. electric and gas utility industry. Being a performance leader means we will achieve operational excellence, industry-leading customer satisfaction and superior financial performance. Our mission at Avon Corporation is to operate the best specialty retail business in America, regardless of the product we sell. The three examples above are only from the “A” company names in an alphabetical list of Fortune 500 companies. 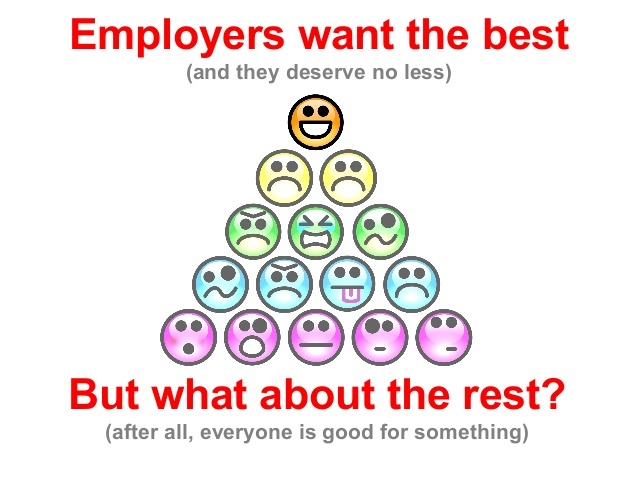 If you went through the entire list of Fortune 500 Companies, you would find dozens of other such statements with organizations proclaiming their desire to be the: Best, industry leader, provider of choice, etc. Few would challenge the merits of what sound like such high minded and laudatory goals. However, the lack of challenge is dangerous. Dr. W. E. Deming used to remind us that you are only as good as your competition. Great athletes and great performers tend to stand out when the quality of their competition is profound. Professional chess players are in many ways not much different than professional athletes. One trains his/her body, while the other trains his/her mind. The world’s top chess player today is Magnus Carlsen. He is ranked number one in the world and is the current World Chess Champion. He became a Grandmaster at the age of 13 making him the second youngest grandmaster in history. At the age of 19, he was the youngest player in history to be ranked number one in the world. He is all of 24 years old today. The current reigning youngest Grandmaster is Sergey Karjakin who in 2002 attained the record at the ripe old age of 12 years and seven months. One would think that in an area which depends on brain cells rather than muscle cells, that age and experience would trump youth and innovation. Such is not the case as history repeatedly proves. Whether in chess or sports, the advantage goes to the young. Those who think they are the best will soon be supplanted by the better. What makes one better is more than simply youth. Training, DNA, techniques, equipment, methods, diets, computers and other technologies all contribute to the constant emergence of competitors that are better, faster and smarter. 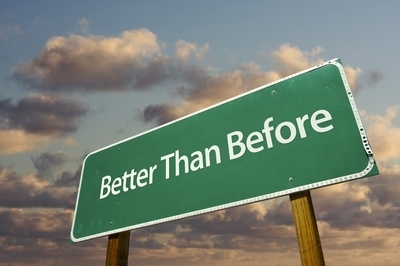 In business, your competition will produce better, faster and cheaper products today than they did yesterday. The world is not and never has been static. Dynamic forces are forever changing the landscape. Anyone who thinks they have a lock on being the best is in for a big surprise. The best do not last very long. The “king or queen” of the hill gets knocked off in a nanosecond today as compared to a microsecond yesterday. Tomorrow the King or Queen will only last for a picosecond. Those who try to be the best will never succeed for very long. Those who set their goals at being better and better will continue to develop products and services that meet the needs of their stakeholders whether these stakeholders are customers or simply admirers. No one can forever be the best but it is simply foolish to assume that once you are the best, that the job is done. In business or in life, the turtle always beats the hare because she simply keeps on trying and trying and trying. The race is not to the swift but to the diligent. Which is better, best or better? 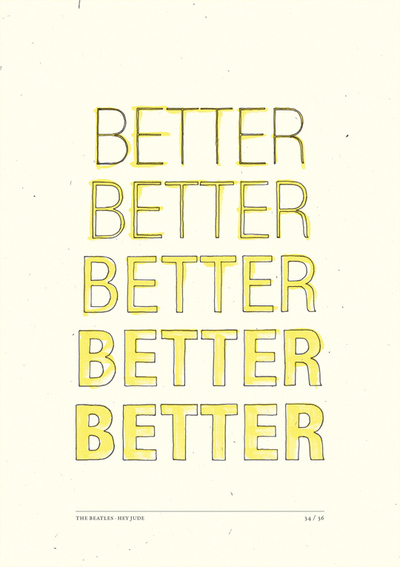 Do you think we should continually try to be better and better or should we stop when we are the best? What happens to those people who become the best? Have you ever been the best at anything? What was it like? How long did it last? Previous When the TRUTH Will Not Set You Free! Final Part – I Was Wrong! Next My 10 Favorite Quotes for Living.